This is Faith in Play #12: Fiction and Lies, for November 2018. I once encountered someone who held the view that all of Jesus’ parables were literally true, that they were recountings of real events of which He in His omniscience was aware. There really was a Good Samaritan, a Prodigal Son, a woman who lost a coin, a man who invited the poor to a wedding feast. His brilliant theological argument was that if these were not true stories, then when Jesus told them He was lying, and since He was sinlessly perfect He never lied. Whether “lying” is actually always a “sin” is a complicated question, of course. We abbreviate one of the Ten Commandments to “Thou Shalt Not Lie,” but it is better understood as “Thou Shalt Not Bear False Witness,” that is, do not commit perjury, do not testify falsely in a legal matter. Jeremiah was at one point ordered by King Hezekiah not to tell anyone the real content of their conversation but to lie about it, and he complied with the command of the king rather than respond that as a prophet of God he should never lie. On the other hand, when in the New Testament we are told to let our yes be yes and our no, no, and don’t swear to anything, the point seems fairly clearly to be that we should be the kind of people who tell the truth so consistently that no one would think we were lying when we said anything, or require any extreme affirmations of veracity to verify our statements. There is a degree to which we should not lie. I have to wonder, though, whether Jesus during His earthly ministry had the kind of omniscience attributed to Him by this argument. We are told in Philippians 2 that He emptied Himself of His divine power and became human, and somehow I can’t see how He could retain absolute knowledge of everything and not count that as a divine ability. Yet the budding theologian has a point: the stories are either true or false, and if they are not true then Jesus was telling us falsehoods as if they were facts. Does that not mean He was lying? I think not. I think there is a clear distinction between lying and telling fictional stories. The difference is in the latter case you are in some sense using unreal events to entertain, convey ideas, perhaps educate. In the former case you are using falsehoods to deceive. A lie is specifically a falsehood presented for the purpose of deceiving the hearer. 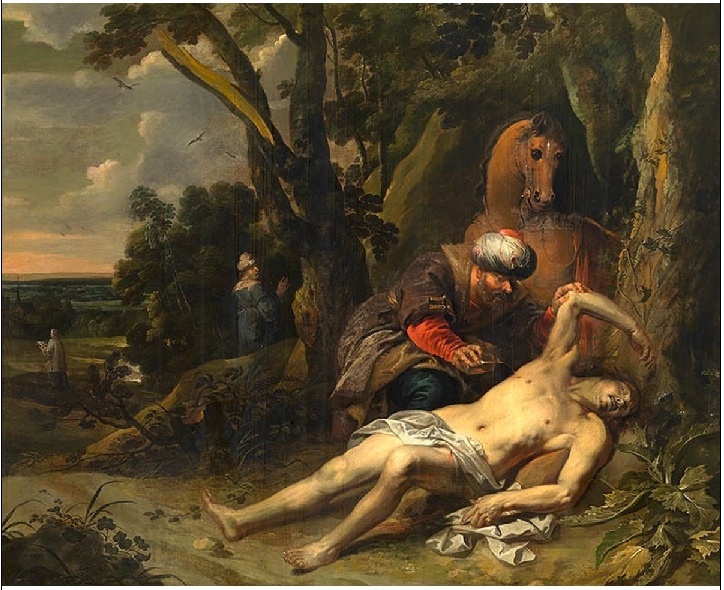 What I see in the parables of Jesus is that it does not matter whether there actually was such a Samaritan, such a prodigal, or any of the other people, creatures, objects, or places included, and it does not matter whether we believe that these existed or acted in the ways presented. What matters is that these possibly imaginary people, creatures, objects, and places are part of a story that conveys an important lesson, a message to the hearers. We can choose to be like the Good Samaritan without believing that any such person actually existed, just as we can choose to emulate Peter or Lucy Pevensie, or Frodo Baggins, or Harry Potter or Hermione Granger. We can learn the lesson of the Prodigal Son without thinking him more real than Draco Malfoy or the White Witch or Gollum. The stories need not be true in order to convey truth. Yet if this is unconvincing, let it be clear that Jesus often made statements that were not literally true, in order to convey truths. He told us we were the light of the world when it is obvious we are not comprised of photons moving in waves. He also labeled us the salt of the earth, and while several chemical salts are essential to our lives our bodies are mostly water, and very little salt. He called us branches of a vine on which fruit grows, but we are not woody extensions of a plant. If any false statement is a lie, these are all lies told by Jesus. Yet we do not take them as lies. We take them as analogies, metaphors, allegories, similes—in short, fictional statements which convey truths. The parables need not be different in that regard. Nor is it therefore conclusive that the telling of fictional stories is a sin because they are false. What makes a falsehood a lie is the intention to deceive. That is not the intention of our storytelling, which exists primarily to entertain, and often to educate, but which we know from the outset is not the truth but only a vehicle for truth. Next article: The Evils of Monopoly.